What you’re looking at here is pretty much the best thing ever, it’s called groundnut soup. Groundnut is what they call a peanut over here, so this pretty much tastes like a spicy peanut butter soup. While that might not sound so great, it really is very delicious. It is usually served with a piece of chicken or in this case fish, and some sort of dumpling. 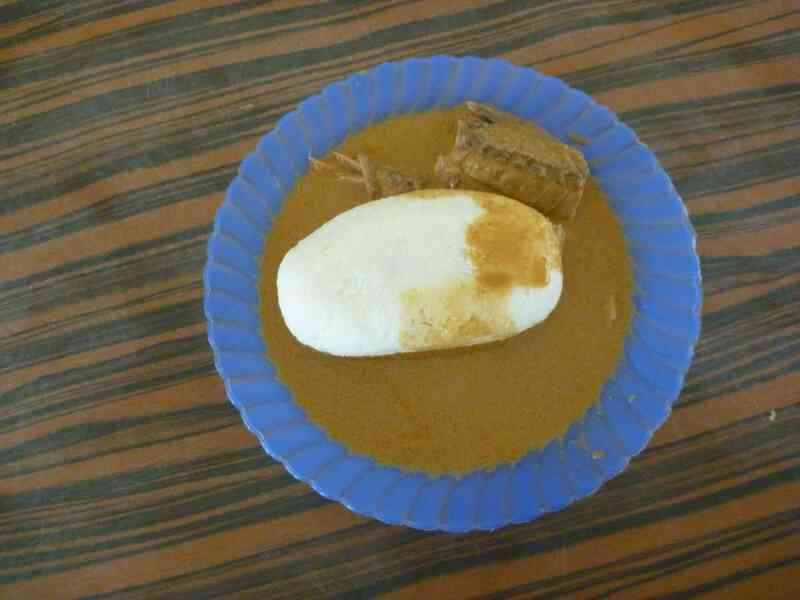 Today it was served with rice balls (which are exactly what they sound like) but it can also be served with the infamous fufu. I believe this is an “eat it with your hands” kind of dish, but I wimped out and used a spoon. That sounds like it would make your stomach ache! !